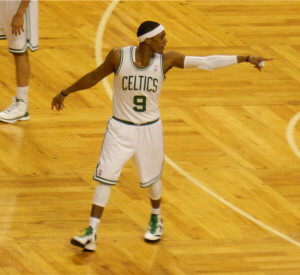 I have long been surprised at the love hate relationship some of the fans have with Rajon Rondo. He is obviously one of the most phenomenal players the Boston Celtics have ever seen but his accomplishments sometimes are lost in the shadow of the famous Big 3. Of course no one can deny the contributions of Kevin Garnett, Paul Pierce and Ray Allen to the relatively new found success of the Celtics, especially with a Championship to show for it. The sad truth though is that all 3 of these guys are hurting in some way even though they continue to show that they might have one more championship left to give us. Last night’s game, especially the first half was a treat to watch as Rondo not only made shots but facilitated shots with his team mates that looked impossible. The one that sticks out is his pass in between Miami players to Paul Pierce which resulted in Pierce driving straight in for 2 points. Though Rondo may continue to have moments where he might confront a cameraman here or there when it comes to basketball he seems to be coming into his own. Not only can he pull out a superman performance like the one in Game 2 with 44 points he can bring out the best in all the players on the court by always having an eye out for them. 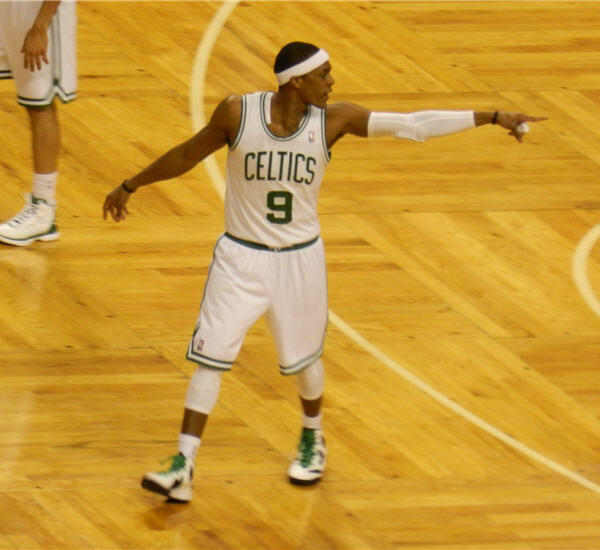 I am including a CSNNE video of Rondo discussing the importance of the bench in the series so far. I have to confess before I went to a game at the TD Garden in March I had no idea who some of these players were but I remember thinking that this is the future if you think of Pietrus, Bass and Bradley. Their play was impressive back then(though Bradley is injured now). But the key has also been with more senior players like Dooley and Daniels who definitely add to both the defense and surprisingly offense as well (Dooling had 10 points last night). Rajon Rondo can’t do it by himself as he has acknowledged but at this point the Boston Celtics have turned this series into a contest. The first 2 games definitely could know down the expectations of Boston fans so it is a testament to the tenacity of all the Boston Celtics players and their coaches. Rumor has it that injured Miami Heat Center Chris Bosh is going to play in Game 5. This will pose new challenges not just for Garnett but also Coach Rivers and Rondo. They need to keep the pressure on the Heat with the possibility that Garnett might not be able to be as productive on the offense with Bosh in the mix. On the flip side though Ray Allen also seems to be getting closer to his usual form. The series continues to get more and more interesting….